A massive fire broke out at the Notre Dame Chapel in Paris yesterday, eventually collapsing the roof and spire of the structure. As investigators continue to look into what started the fire, there has been a global outpour of support to help rebuild the historic structure. A drive to rebuild the chapel has already gotten more than $500 million in donations, with a large portion due in part to two French billionaires. Bernard Arnault, head of LVMH, a company that holds nearly 70 luxury brands under its ownership, has pledged 200 million euros (which is about $226 million) to fund the reconstruction of Notre Dame. Another well-known French billionaire, Francois-Henri Pinault, has pledged considerable funds to help the reconstruction effort. More than 400 firefighters battled the blaze after finally controlling the flames after 15 hours. The fire consumed the main structure and the two iconic rectangular bell towers. No deaths were reported, though two police officers and a firefighter were injured. 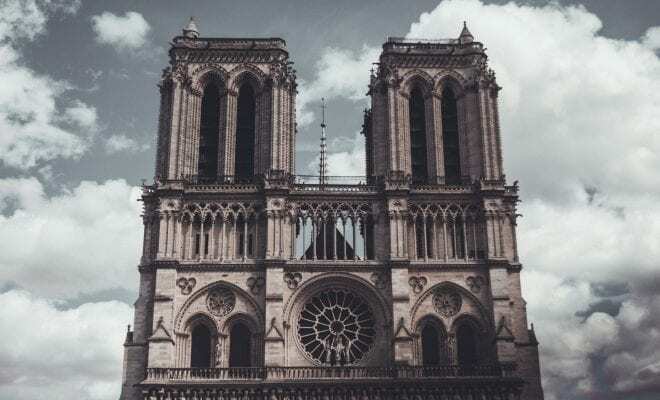 According to French Culture Minister Franck Riester, some of the most valuable pieces of art inside Notre Dame were saved and relocated to Paris City Hall and the Louvre Museum. Residents living close to the cathedral were evacuated in case the building collapsed, including those in the areas surrounding the cathedral. The investigation into the cause of the fire is ongoing, but so far, investigators are deeming it an accident. Paris public prosecutor Remy Heitz told reporters, “We are favoring the theory of an accident,” though more than 50 people have been assigned to investigation to confirm these suspicions. The cathedral dates back to 1160, and is steeped in the rich history of France. Notre Dame Cathedral attracts millions of tourists every year, nearly double that of those that visit the Eiffel Tower. For now, Parisians mourn the destruction of such an iconic building, one that served as a symbolic center for the city.